We have garnered acclaim as the preeminent Manufacturer & Supplier of Poultry Grits based in Sonipat, Haryana. Our offered range of Poultry Grits is fabricated by skilled professionals who adhere with the latest quality norms. 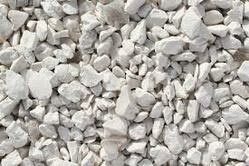 We are capable of customizing the Grits to address the variegated demands of the buyers. We can be counted upon for delivering any order of the Poultry Grits within the allocated time.